Born in Turin and based in Vienna. Degree in Arts and Literature. Mostly actress and singer, but also dramaturge, translator and director. I've been searching for a simple definition of what I do, but I'm afraid I can't find one. I'm an art-border-crossing, multitasking actress, let's face it. And I also like photographing and painting, walking with my two dogs and doing some yoga (who does not nowadays?) and even knitting and cooking, what can I do about it? So here I am, trying to collect on the same spot the most I do, for versatility - like diversity - should be an enduring force rather than a problem. Roberta Cortese studierte in Turin anfangs Altphilologie, dann Literatur mit Fachrichtung Kunst. Sie studierte Operngesang in Turin und Wien und entwickelte sich zur Schauspielerin am Burgtheater. In der Zeit wirkte sie auch im Theater- und Musiktheaterbereich in Wien und Graz. 2001 kehrte sie nach Italien zurück, wo sie weiterhin als Schauspielerin/Sängerin in Produktionen zeitgenössischen Theater- und Musiktheaters wirkte, in Musik- und Filmprojekten sowie beim Fernsehen. 2002 bis 2008 war sie auch Hausdramaturgin des von ihr mitbegründeten CineTeatro Baretti in Turin, wo sie ihre Tätigkeit als Autorin und Übersetzerin (vor allem von Elfriede Jelinek) aufnahm. 2005 machte sie ihr Debüt als Opernregisseurin, widmete sich aber bald zu eigenen performativen Projekten, seit 2009 mit dem Verein Satyrikon, mitbegründet mit Luigi Chiarella. Seit 2015 lebt sie wieder in Wien, arbeitet jedoch weiter in Italien sowie in Österreich als Performerin, Dramaturign und mit eigenen Projekten. Roberta Cortese studia a Torino, inizialmente Lettere Antiche per poi passare a Materie Letterarie con Indirizzo Artistico. Studia canto lirico a Torino e a Vienna, dove si forma come attrice nella compagnia del Burgtheater, lavorando anche in produzioni di teatro e musica a Vienna e Graz. Nel 2001 torna in Italia, dove continua a lavorare come cantante/attrice per lo più in produzioni di teatro (spesso musicale) contemporaneo, oltre che per produzioni musicali e video e per la televisione. 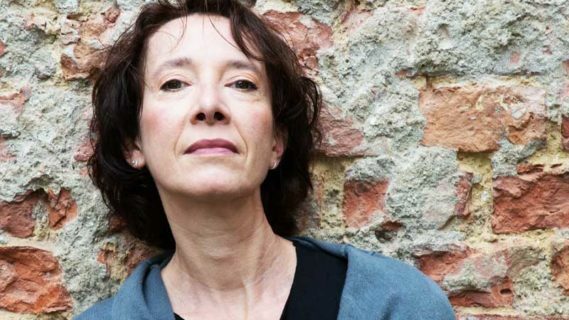 Dal 2002 al 2008 è inoltre Hausdramaturgin del CineTeatro Baretti di Torino, di cui è co-fondatrice e dove dà inizio alla sua attività di autrice e traduttrice, soprattutto dell’autrice austriaca Elfriede Jelinek. Nel 2005 debutta nella regia lirica, ma presto si dedica a sviluppare propri progetti performativi, dal 2009 con Satyrikon, associazione fondata con Luigi Chiarella. Dal 2015 vive di nuovo a Vienna, continuando a lavorare sia in Italia che in Austria come performer e traduttrice, nonché portando avanti i propri progetti. Roberta Cortese initially attended Classic Studies then graduated in Arts and Literature in Turin. She studied operatic singing in Turin and Vienna, then developed as an actress within the company of Burgtheater besides working in other (music-)theatre productions in Vienna and Graz. In 2001 she went back to Italy, where she went on performing as a singer/actress mostly in contemporary (music)plays, for music and movie productions as well as for TV-series. From 2002 to 2008 she was dramaturge of the co-founded CineTeatro Baretti in Turin: there she started writing and translating plays, the latter mostly by Austrian author Elfriede Jelinek. In 2005 she set her first opera but turned soon developing her own performative projects, since 2009 with the association Satyrikon, founded with Luigi Chiarella. Since 2015 she lives in Vienna again, though she keeps working in Austria as well as in Italy as a performer and a translator and also developing her own projects.